Weird parts of my skin burned a little when we were in Florida but this Sun Bum Cool Down makes it so much better! I packed for our trip and ended up just throwing stuff in my suitcase. We realized when we got to Florida that I only had my Tory Burch flips and I wasn’t about to wear them to the beach, in the ocean, and jet skiing. So I ended up with these Under Armour flips and you guys, they are the best $21 I spent all week! I am completely in love with them. They’re crazy comfy, super easy to walk in, and come in a bunch of colors. I’m going to have to get another pair for the summer because they are going to be on repeat all summer long. 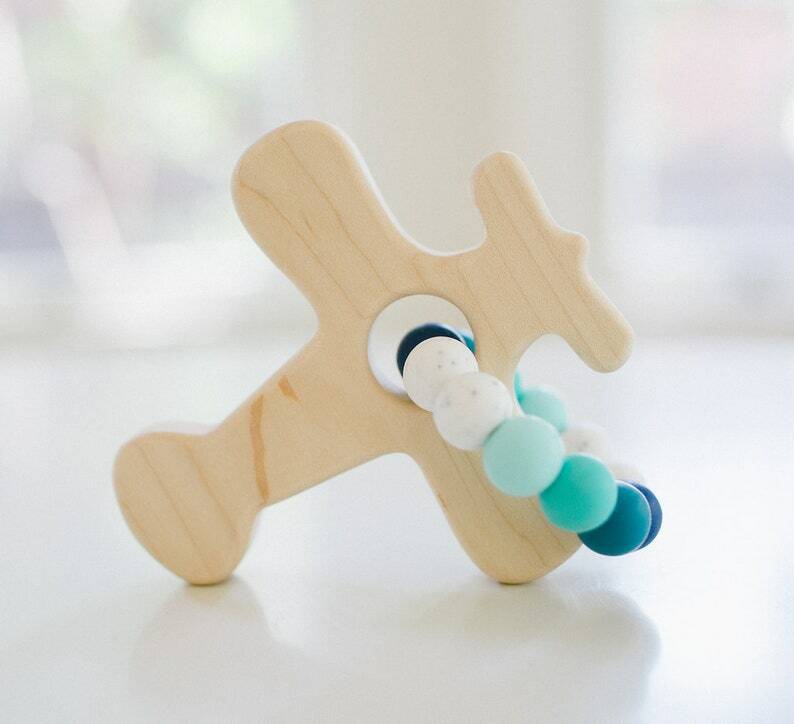 Some of our good friends just had a little baby and we bought him this adorable teether as a welcome to the world present. We even got it monogrammed with his name! Can’t wait to meet Baby K and snuggle him! We popped in to see my niece at her gymnastics class and the look on her face when she saw us was priceless. It was awesome to see her through the window with all of her friends climbing on stuff. She’s our favorite this week!